Created in 1987, Photoshop was originally written on the Macintosh Plus of PhD student Thomas Knoll who wanted to display grayscale images on a monochrome screen. The earliest version of the software was thus called "Display" but was soon renamed to "ImagePro" after Knoll took a six-month break from his studies and enlisted the aid of his brother to develop the product into a fully functional image-editing program. The name "ImagePro" was taken, however, and Thomas ultimately settled on "Photoshop." The first copies of Photoshop were distributed along with hardware sold by scanner maker Barneyscan and it's said that about 200 copies of the software were circulated this way. Around the same period, Thomas' brother John showed the program to executives Apple and Adobe, with the latter purchasing a license to distribute in September 1988. 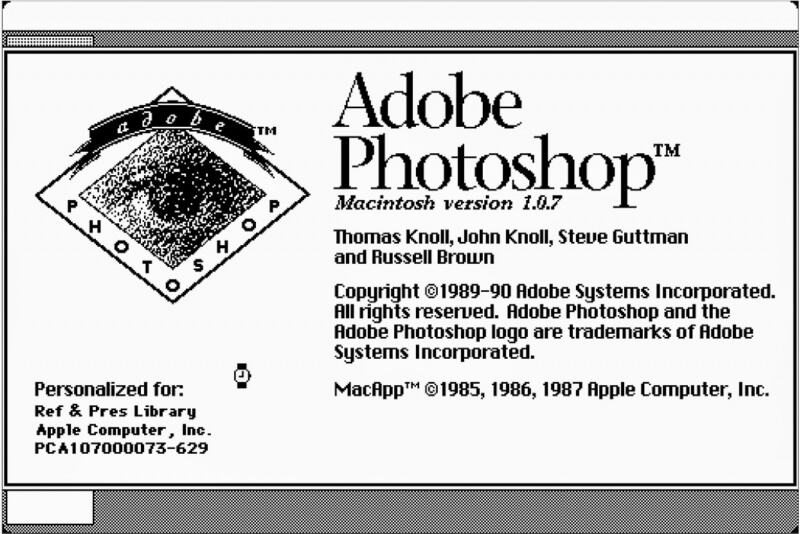 Photoshop 1.0 was released in February 1990 for Macintosh computers.